Hello, Cuties! 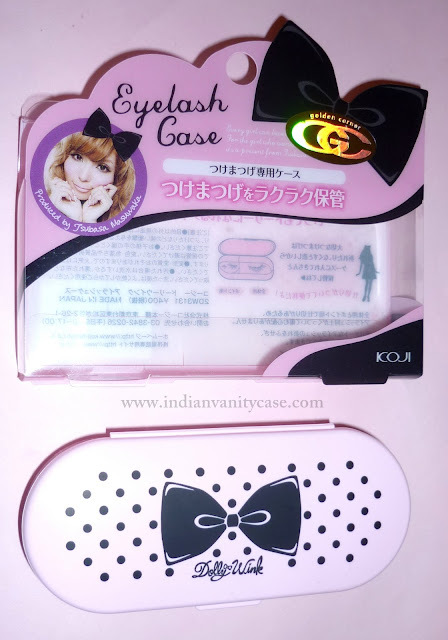 Dolly Wink brought my girly dreams to life with their packaging. Wait, is there another word I can use other than 'packaging'??? It just sounds weird sometimes. For the record, I haven't used these lashes yet, but I like them already! These lashes are hand-made, which is why it usually takes a while for stores that carry them to restock. That's what I was told. Isn't the little glue so CUTE too??!! But here it is. In my home. Still unused. I don't know if I should transfer my false lashes into this, I think it'll just get confusing. Well, maybe just a few pairs, let's see. I bought these from Sasa. how many times can u use fake lashes for? it looks uber cute..and know what? when this update came first on ma FB, i thought it was u in the pic..hehe..was half asleep and then i thot it was jus my mind..hehe..morning when i saw, i understood..
hey love the lashes and love the lash box even more! Wowww they look so cute with that box...Really wanna try them out! !